in France, Saturne is less than 21° over the horizon ! Moreover, I choose the classical RGB way for this picture. they are lost in sensor noise. ZWO ASI 385 with Ir/Uv Cut filter + barlow 3x + ADC. Exposure time : 17 ms.
Frame rate : near 55 images/sec. 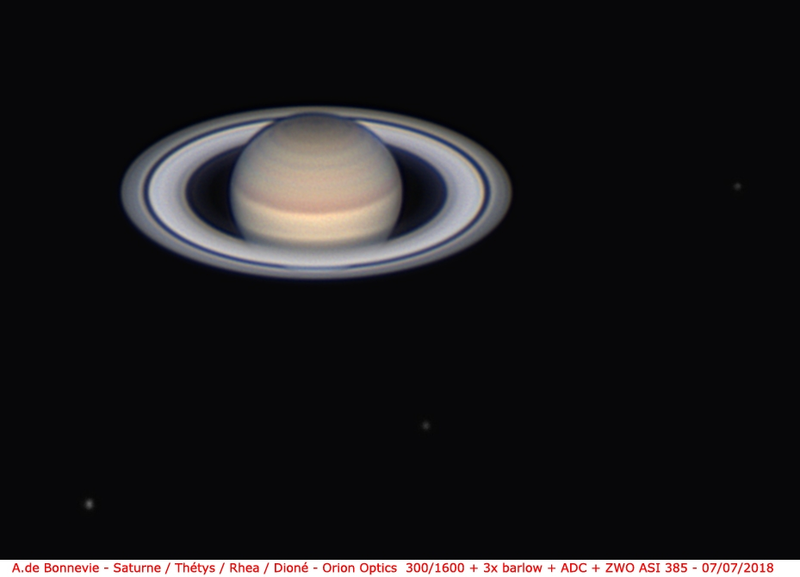 4 captures : 20300 + 24700 + 27800 + 34600 raws images captured. Nearly 24150 sorted out and kept for registration. Derotation of 14 composed images with WinJupos. Processing and post-processing with Iris + Photoshop. Great work XS_MAN. That's a beautiful picture of Saturn.